"I didn't set out to write a movie about a town of women," said Frank, who heard 'no' for 12 years before Netflix said it was a miniseries. 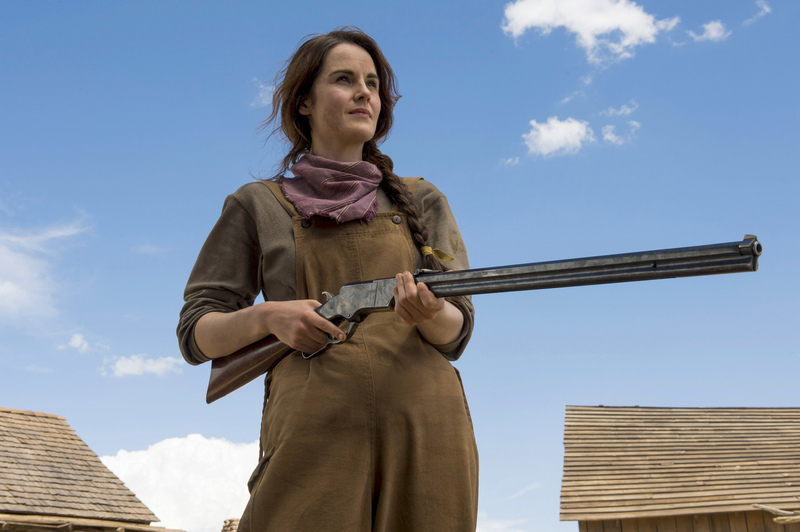 “Godless” is the smart western that nobody wanted when it was a two-hour movie. Scott Frank (“A Walk Among the Tombstones”) spent 12 years hearing “no” to his drama about a small town that lost all of its men to a mining disaster. However, once it became a limited series, Netflix jumped at the opportunity. Frank has long been known as a hot screenwriter, in a career that stretches from Kenneth Branagh’s “Dead Again” in 1991 to Oscar-nominated turns for Steven Soderbergh’s 1998 “Out of Sight” and last year’s “Logan.” However, he never expected to become the showrunner of a sprawling TV series. 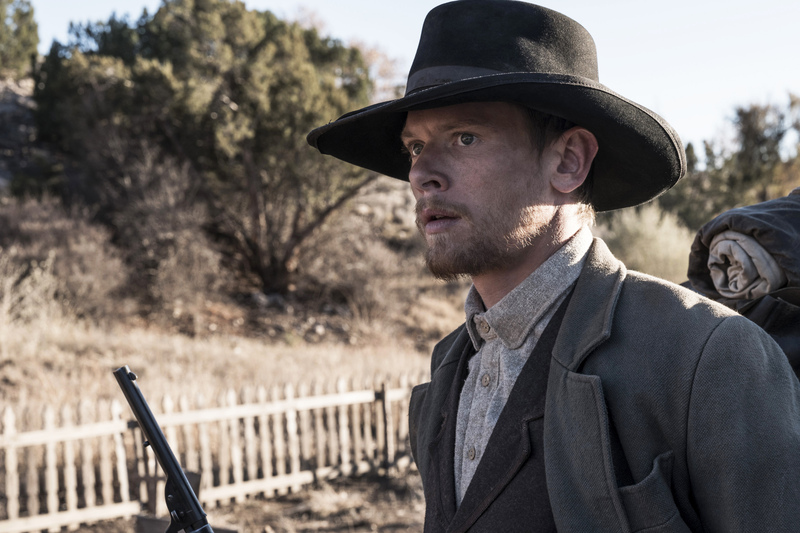 When it came to writing his own western, HBO’s “Deadwood” inspired Frank in 2002. “Sadly, when I began noodling on it, the movie business wasn’t receptive to that genre,” he said. “It was considered tired, it didn’t travel well overseas, nobody was looking for a western. Tom Selleck was doing TV movies on cable, but for the most part westerns didn’t justify the cost, after the DVD market dried up. Marketing executives were in the room with creative executives. Westerns were an uphill battle, a very expensive proposition. Kevin Costner’s ‘Open Range’ cost $25 million. We were a $45 million-$50 million feature. We looked everywhere — Argentina, Spain — for ways to make the movie cheaper.” But the movie stalled. Frank dug into the history of the West, reading about historical figures, wagon trains, Mormons, and other religious groups. He created Frank Griffin, who is destined to repeat the sins committed against him and will do anything to punish Roy, the prodigal son he adopted as a boy and trained to be a sharpshot killer. Along the way, Frank also found stories of towns stripped of their men by mining accidents. While he knew he was also crafting a feminist western, he started with a story of fathers and sons. 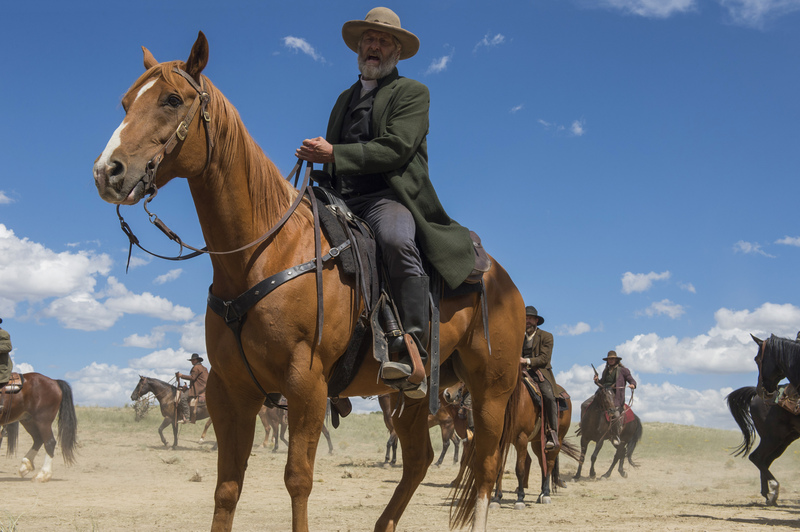 Netflix met some backlash when the series it presented as a women’s western also focused on several leading men. Renowned New York casting director Ellen Lewis helped Frank to assemble a superb multi-national cast — and Netflix let him pick whoever he wanted. 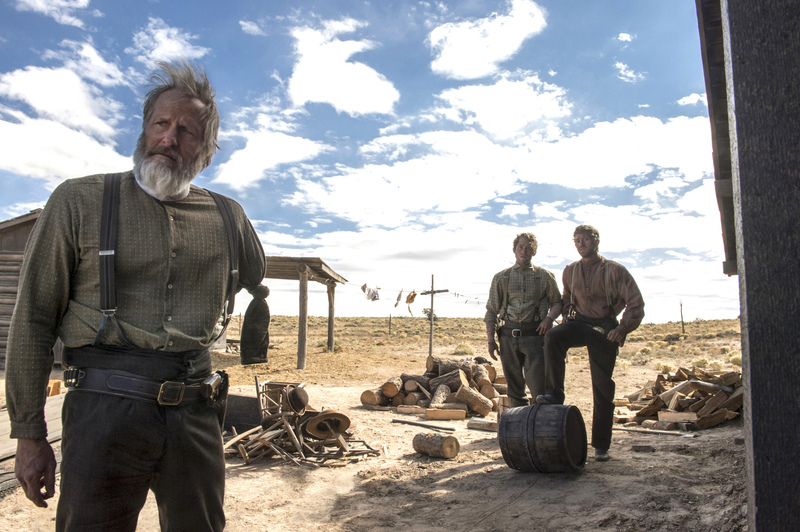 In an homage to “Once Upon a Time in the West,” he cast his “The Lookout” star Jeff Daniels as the series’ cutthroat one-armed villain. Frank first went into production on six episodes of roughly an hour each, but by the time he had shot 120 days and was on the other side of post-production, he had seven episodes timing out to 7 1/2 hours. Among the women, outsider widow Alice who harbors Roy is played by “Downton Abbey” star Michelle Dckery, who enjoyed adopting a flat American accent and strengthening her arms in order to wield a heavy rifle. 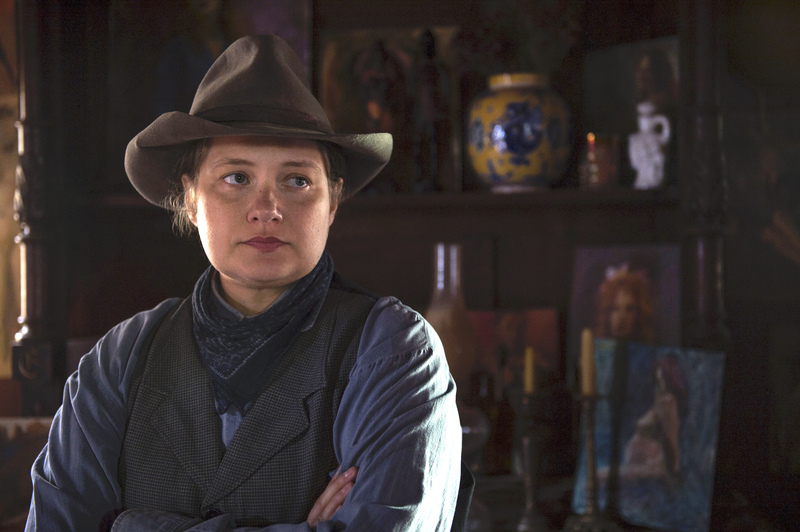 And while Frank originally wanted a 50ish woman to play Mary-Agnes, another gun-toter in men’s garb who leads the townspeople, Lewis suggested “Nurse Jackie” star Merritt Wever, whom Tony Gilroy directed in “Michael Clayton.” “All that toughness is much like Frank,” said the director. “But she’s in direct opposition: She’s a painfully shy human underneath.” With Wever in mind, Frank was inspired to expand her part and add the romance with former prostitute Cally. Production built the mine, the hotel, and the town of La Belle from scratch, which was a key character for the series. Working with horses brought a huge learning curve, from building ramps for them to the well-choreographed shootout finale. Riding horses almost killed Daniels, who was thrown three times but got back on the horse each time. On the second to last day of filming, when a runaway horse took off at a gallop, he jumped–and broke his wrist.